Knife laws are no less important than the Gun Laws. Knife laws in the US may differ by the states, city even town. There is knife owing and carrying laws. In the US’s knife laws, some knives can be kept in the home but you cannot carry those outside. Again, you may carry some knives open but you cannot carry them concealed. There are concealed and open carry knives individually. Sometimes the law of the knife depends on the size of the blade length. In some states, you cannot carry out knives reaching a certain length. So, you need to learn your local state’s legal code to be risk-free. For example, it is illegal to carry a pocket knife over 3 inches in most states. 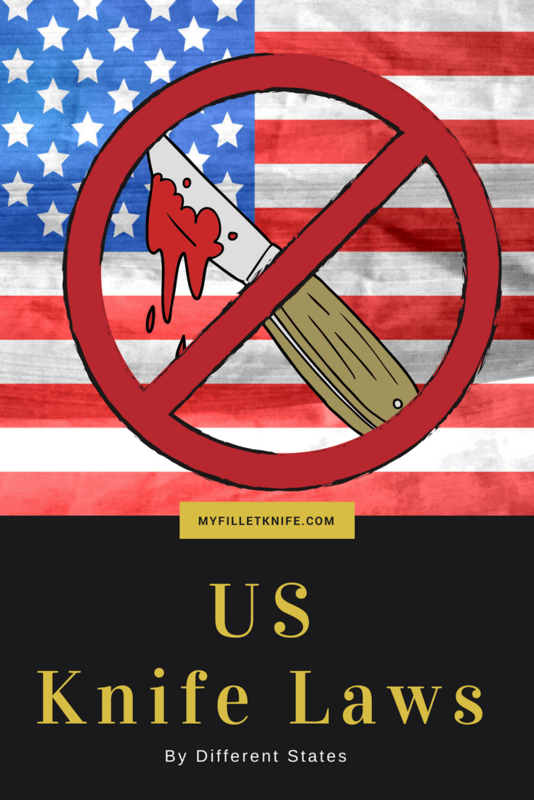 What is “US Knife Laws” all about? Knives are used mostly as a tool to cut things but these have no lesser than the user as one of the most dangerous weapons! Terrorists carry knives for their illegal purposes and we, the general public may sometimes carry out knives even without thinking anything and for nothing at all! In the US, carrying a knife with you may sometimes cause you to sentence to the jail! So, you need to think twice carrying a knife with you outside. Knife laws in the US have detailed instructions on where and which type of knives you may carry and own with you, which are safe with you, which would not claim you as a wrong-doer or a terrorist and everything about the “Knife” thing including selling, buying, displaying and manufacturing them! If you carry any knives that are designed as the dangerous one, cops may charge you for that and you will fall into trouble for sure. But even in some states, dangerous knives are legal. So, it all depends on the laws of particular states. Anything can be a Weapon! Well, anything can be a weapon if you can use that in separate ways. For example, a pen can also be used to hurt anybody! But that does not mean that there would be also some laws carrying out pens with you and that would be insane! We have set this in our head that weapons must be huge in size and has the look of violence with it. But a single micro-sized element could also be used as a dangerous weapon. So, there is no fixed issue that the big knives are more dangerous and smaller in sizes are less dangerous. Because most of the kitchens especially the kitchen places in America use gigantic sized choppers or knives to cut things off. And there are records of being terrorists with only using a paper cutter or even a blade! So, anything could be a dangerous weapon. Whenever we hear the word “knife”, we probably won’t think of the violence from the first place rather we think of cutting something useful. But bringing the knife in front of the public and waving it around recklessly is not a good idea at all. So, anything depends mostly on the usage of its users whether it is risk-free or not. But carrying out some types of knives with you outside or even carrying some dangerous knives in your home should be avoided which are restricted under the law. That is why; you must know the knife laws elaborately. Forever Restricted Places to Carry a Knife! There is a forever big NO for knives in the educational institutions like schools, colleges or universities, Government, state or federal offices or buildings, courts, planes, military area and such as these. You are not allowed to take a knife onto a military area unless you are a member of the Armed Forces Services. And also, you cannot carry or possess knives in these mentioned restricted areas unless you are there for any authorized duties on permission. To know the knife laws perfectly and not to get into trouble, you need to learn some primary facts at first. Carry Laws: Carry laws are specifically what types of knives you are allowed to carry with you outside without being charged. There are also two types of carrying laws and these are open carry laws and concealed carry laws. Open Carry Laws: Laws for carrying knives openly. Concealed Carry Laws: Laws for carrying knives hidden or concealed. Ownership Laws: These laws decide which knives are legal and which are not for owning. There are some knives which can be owned but cannot be carried. So, these all vary. There are different types of knives and all these have different usage. So, the law also flips over the size and design of the knife! Fixed-blade: Fixed-blade knives are fixed and without a folding mechanism. 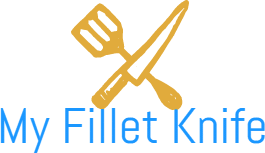 Your kitchen knives are fixed-blades. Bowie Knife: Bowie-knife (learn more about Bowie on this post) is a large fixed-blade knife. Jim Bowie made this and was specifically designed for fighting, but the term has come to mean any large knife. Folding knife: Folding knives’ [Here’s a buying guide you can check out] blades can be folded into its handle. Gravity Knife: It’s a folding knife where the blade can fall and open due to the force of gravity. Assisted-Opening Knife: Assisted-opening knife is a folding knife that requires you to push force on the blade to open it with a spring or mechanism that assists you to open. Switchblade: Switchblades are also known as the automatic knives. These are the knives having a blade that opens automatically. Stiletto & Dagger: Stiletto is a very thin knife that’s designed as the most dangerous ones. Dagger is a knife with sharpened edges on both sides. These both knives are scary and used for terrorism. So, you should be aware of having these two with you. But in some states, they are risk-free. There remains some more kind of knives that are used for different reasons. Each knife has a law for a separate situation in the US. Laws are made out to ensure your security. As the laws in the US vary from state to state and even town to town, we are going to give you the ideas on behalf of the 50 states.